Dodgers Blue Heaven: Astros Series Starts on Friday - Stadium Giveaways, Pregame Info and Other Stuff! Astros Series Starts on Friday - Stadium Giveaways, Pregame Info and Other Stuff! Friday's game starts at 7:10 PM. Auto gates open at 4:30 PM, and stadium gates open at 5:00 PM. 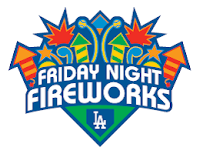 It is Friday Night Fireworks, so fans will be able to go down onto the outfield after the game to watch the spectacle. The night's theme will be a Country Music Mix. Go here for more information on Friday Night Fireworks. 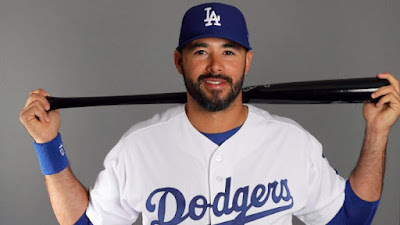 Tonight is also Andre Ethier retirement night. Prior to the start of the game the Dodgers will honor and celebrate his 12-year career with a pregame ceremony emceed by actor Jason Bateman. Of special note, Ethier was passionate about his impact off the field and provided support to underserved communities, including donations of $375,000 to the Los Angeles Dodgers Foundation during his time with the club. These funds were used to revitalize and rename the Union Rescue Mission Learning Center, now The Maggie and Andre Ethier Learning Center, which provides classes to homeless men and women in Los Angeles. His contributions also supported four-year scholarships for three current Jackie Robinson Foundation/Ethier Family Scholars attending college at Arizona State University and the University of Arizona. In addition to the generous monetary support, Ethier partnered with LADF on Dre Dayz, a program that afforded over 700 youth from 24 different organizations supported by LADF, a once in a lifetime opportunity to watch batting practice from the field and enjoy the game in a premium suite. It is Country Night at Dodger Stadium. 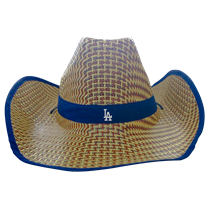 Folks who order a special ticket package will get an exclusive Dodgers' Country Night hat. See that on the right. If not already sold out go here for more information and to order. 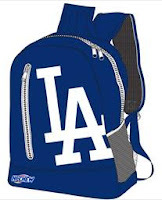 It is Cal State LA Night at Dodger Stadium. 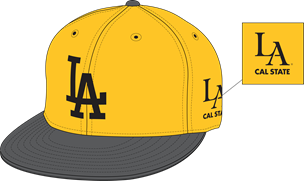 Folks who order a special ticket package will get an exclusive Dodgers' Cal State LA Night cap. See that on the left. If not already sold out go here for more information and to order. The national anthem will be sung by country music singer, songwriter, and multi-instrumentalist Hunter Hayes. Friday's game starts at 6:10 PM. Auto gates open at 330 PM, and stadium gates open at 4:00 PM. 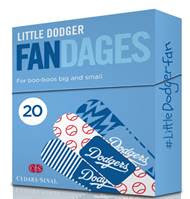 The first 5,000 ticketed kids (7 & under) in attendance will receive a Little Dodger Fandages presented by Cedars-Sinai. See it on the right. The first 12,000 ticketed kids (14 & under) in attendance will receive a Jr. Dodgers Backpack. See it on the right. It is Jewish Community Day at Dodger Stadium. 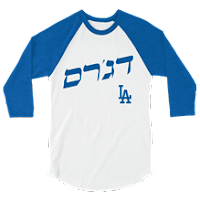 Folks who ordered a special ticket package will get an exclusive Dodgers' Jewish Community Day t-shirt. See that on the left. If not already sold out go here for more information and to order.